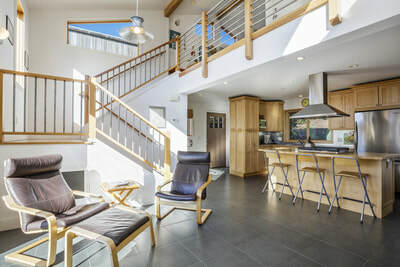 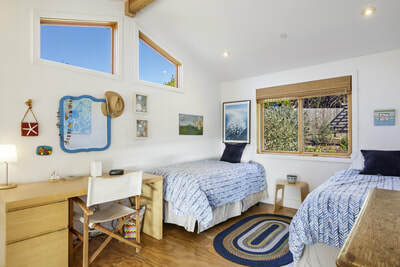 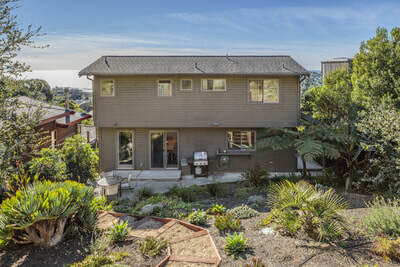 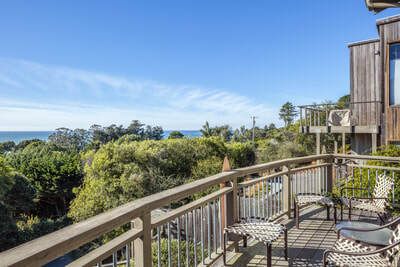 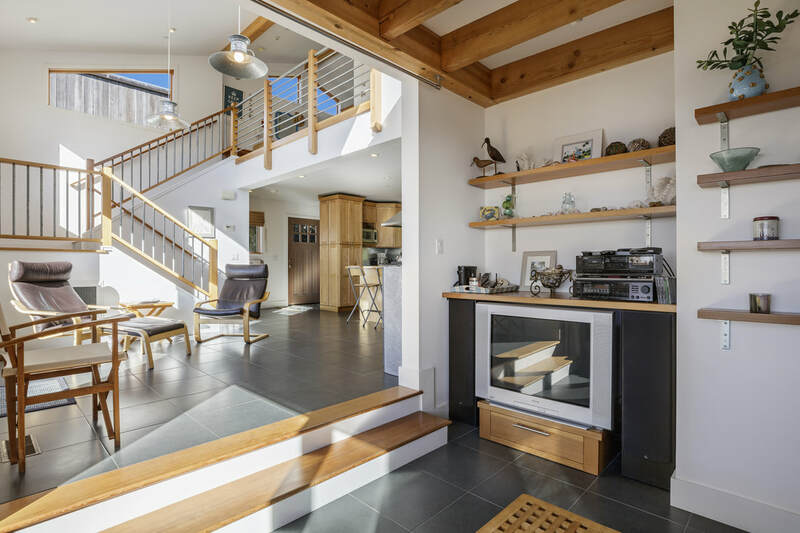 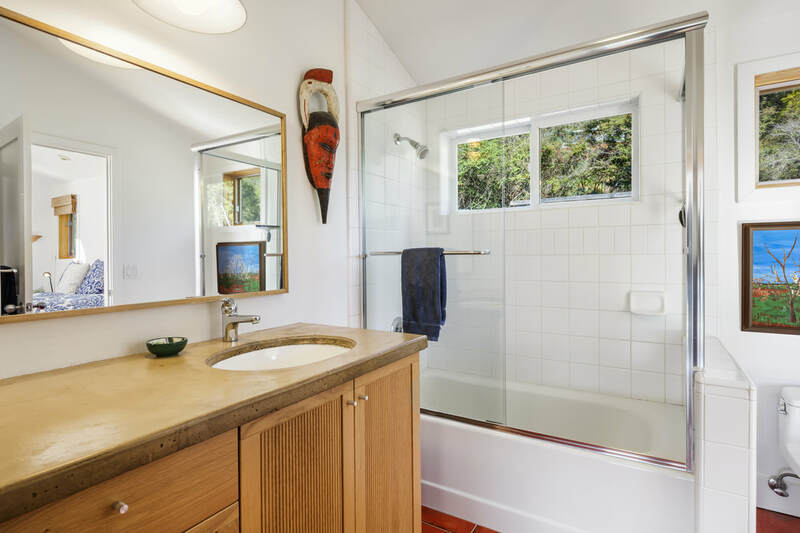 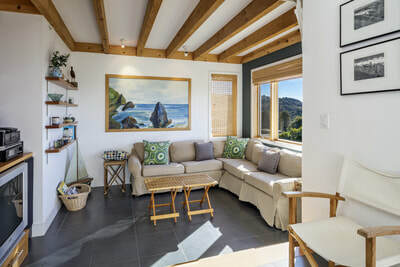 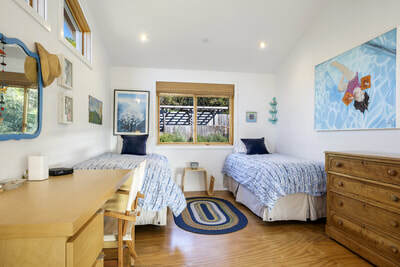 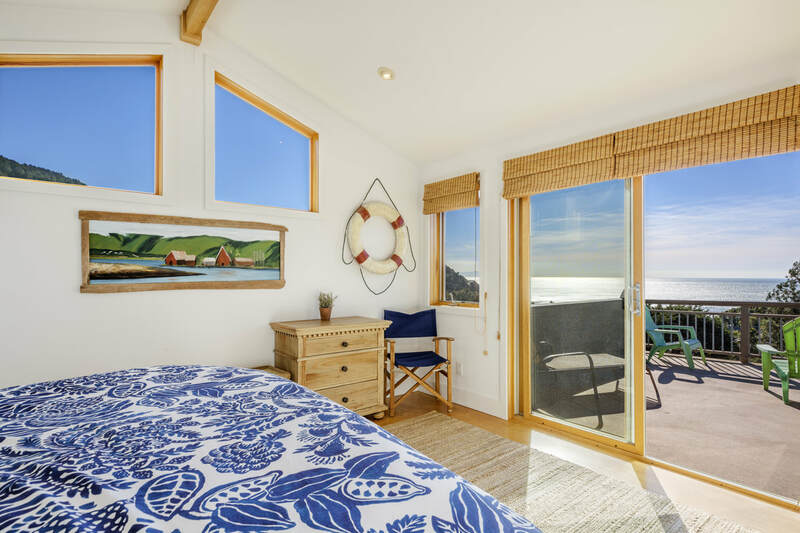 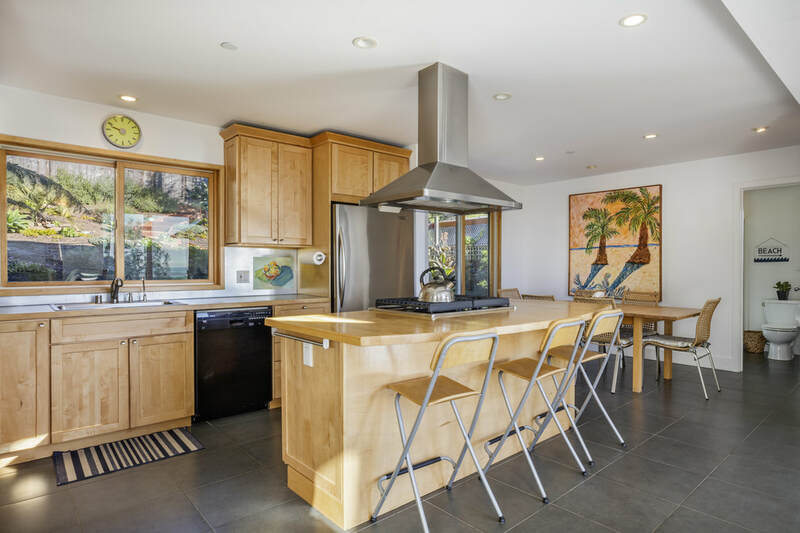 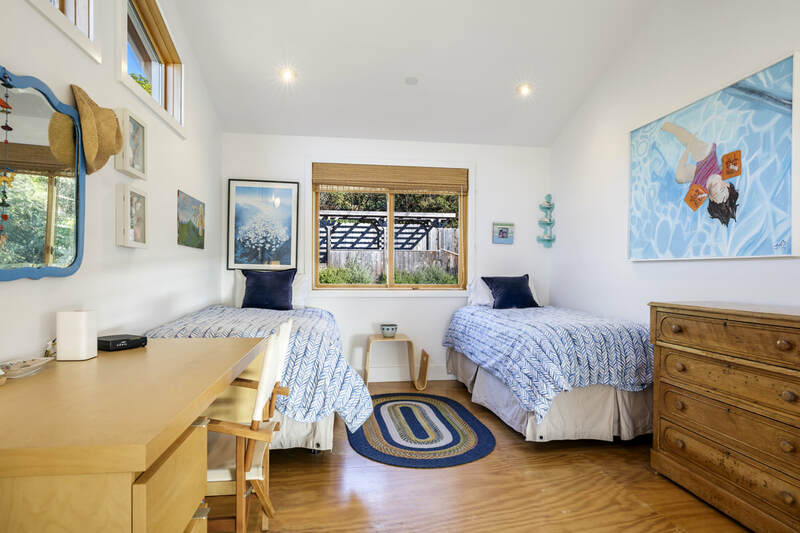 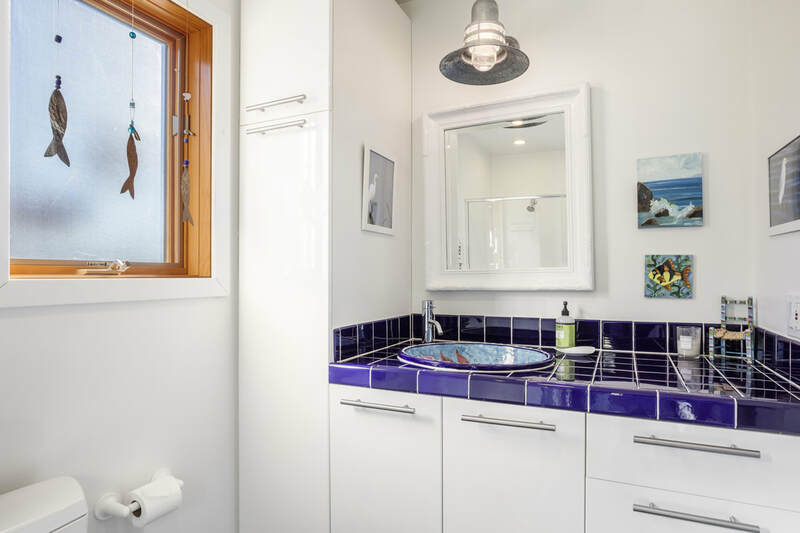 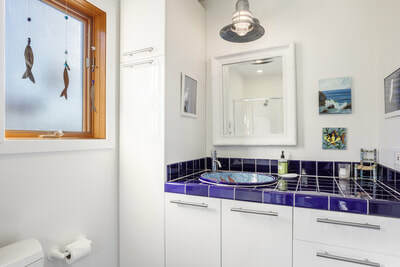 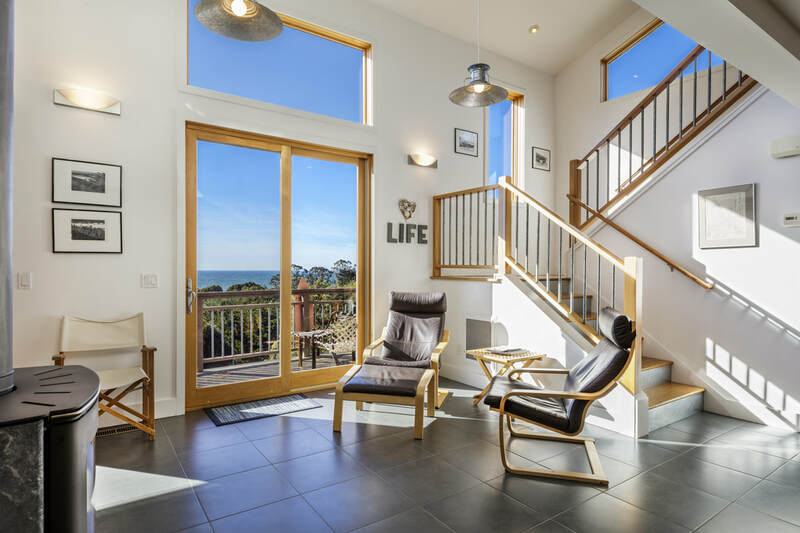 Stinson Beach Rental Home - New, 2006, contemporary-style home with modern open floor plan. 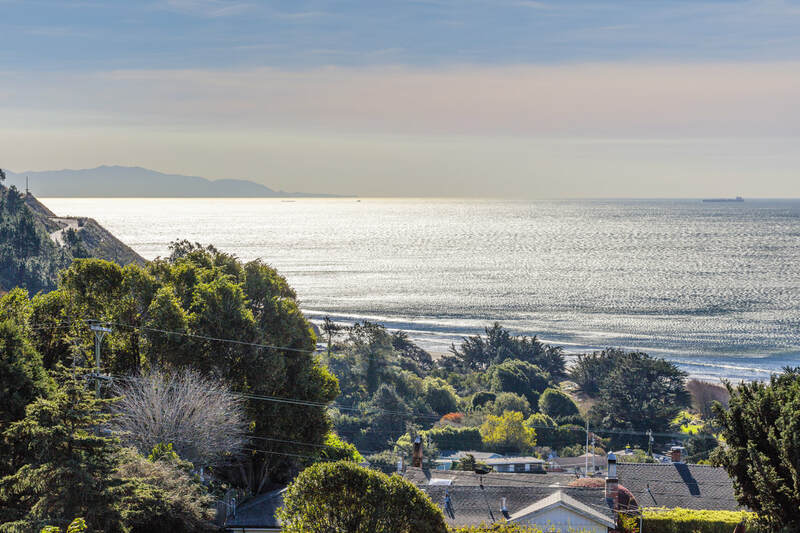 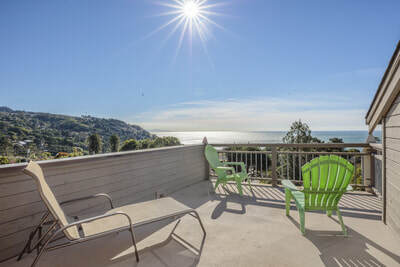 Expansive ocean views and Mount Tamalpais out your back door. Hear the wave's crash, watch the birds soar, enjoy the colorful sunsets. Solid built home with attention to details and comfort for the beachcomber. 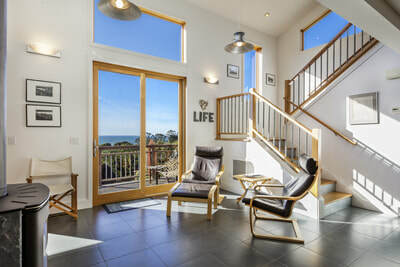 Sunken living room with tile floor, TV/stereo, and ocean views. 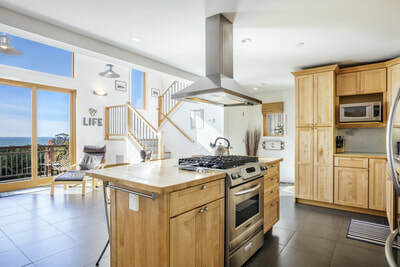 Gas fireplace, fully-equipped kitchen, and outdoor gas barbecue. 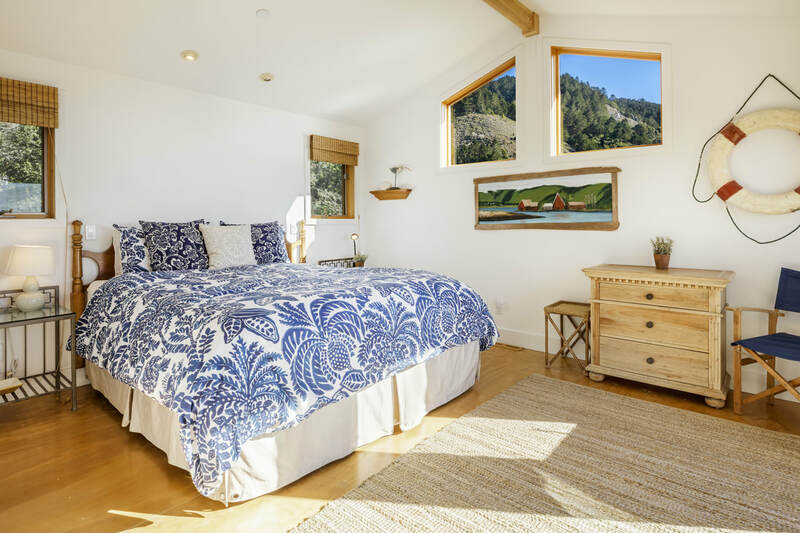 Master bedroom with private deck, loft with twin beds and two full baths. 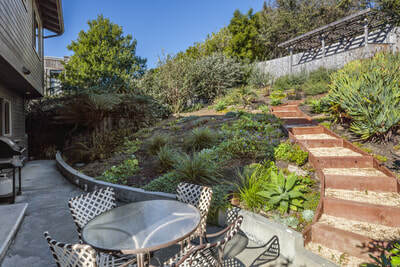 Two sun decks, private patio and lovely landscaped rear yard. Ample parking, with basketball hoop. Just a short walk to town with shopping and galleries, grocery store, restaurants, and library. Minutes to the beach for all day play and surfing. 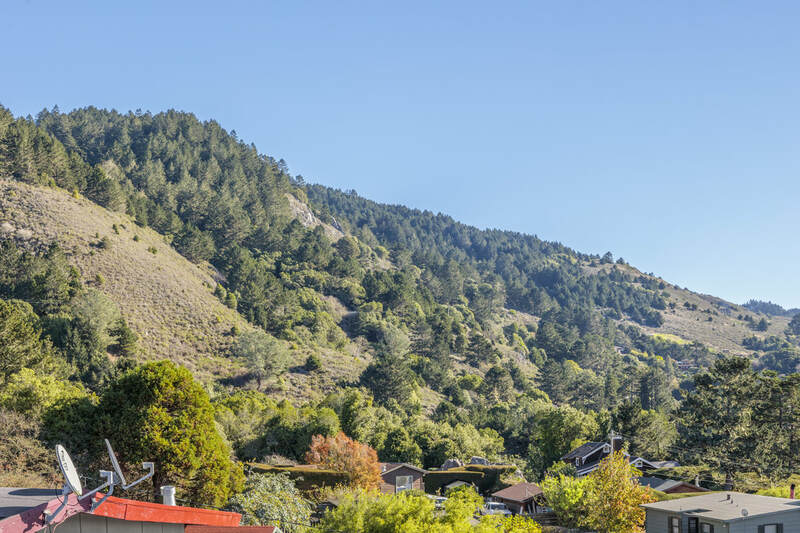 Breathtaking trailheads with waterfalls out your front door. 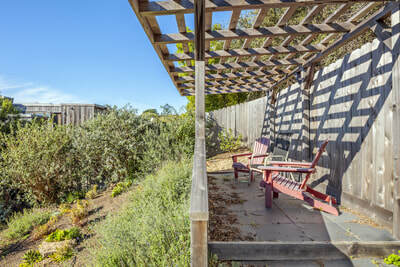 ​Upslope lot covered with brush and large trees awaited us at our first visit. 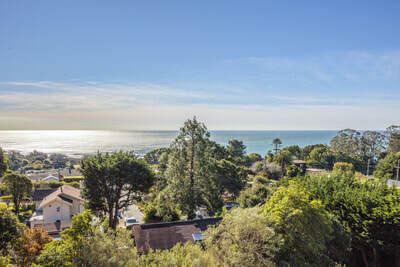 Climbing up the hillside one could tell there would be a partial view of the ocean and that was enough for us to say- BUY IT! 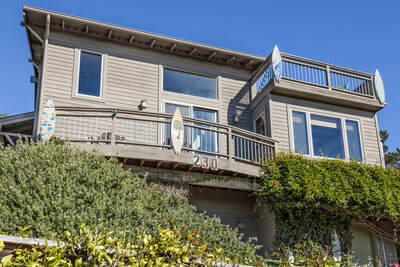 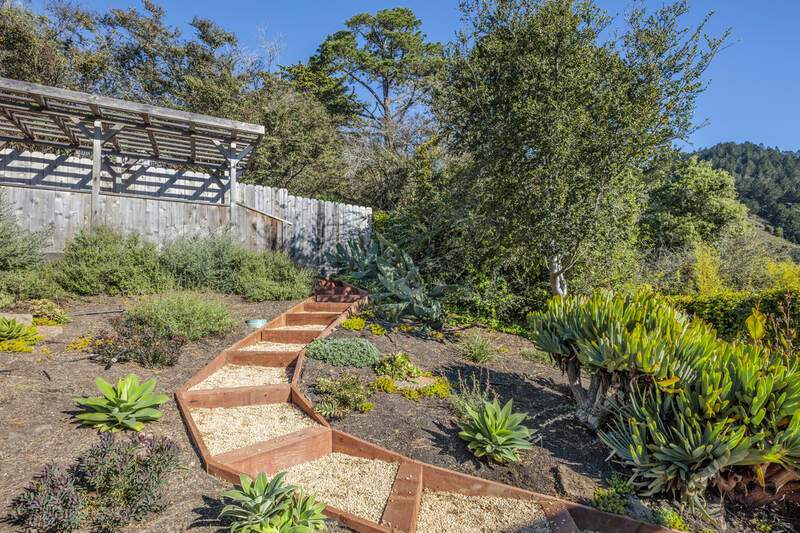 A small lot in “the village” area of Stinson Beach was just the place for a second home. 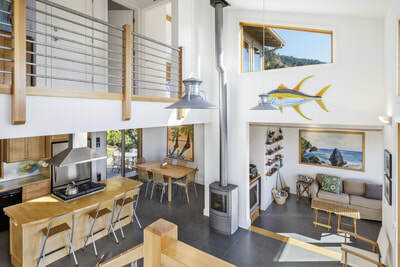 Septic and leach field reduced the buildable area so the challenge was how to design a 1400’ home within the small area. A meeting with the water district and fire department answered our questions and the designing began. 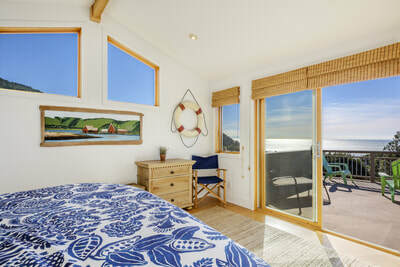 Simple, clean, durable and beachy with large windows to capture the views were what we were after. 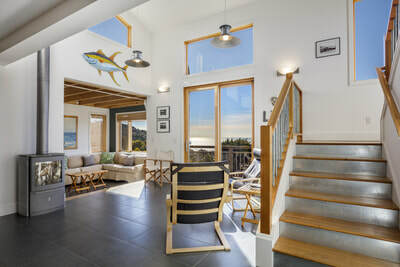 Breathtaking views, light and airy design were achieved and this home has made for some very memorable vacations for both the owners and travelers from abroad.